Geta Brătescu and Ludmila Rusava both began their artistic formation within the framework of Soviet rule. Their works are marked by the experience of political oppression, but nonetheless manifest great freedom of expression, complexity in the use of materials, within a broad range of artistic media (installation, performance, book-work, collage, film, photography, drawing, painting, writing and textiles). Róska was an Icelandic political activist living and working in Italy during a period of socio-political turmoil: A painter, photographer, poet, and a film director, she described her own art practice as a “continuous rebellion in living poetry and politics.” Karin Fisslthaler's work deals with rhythm, body language and silent communication. In her recent series Kristal she remixes analog and digital technologies into singular photographic objects reminiscent of cinematic fragmented narratives. Olena Newkryta represents the youngest generation of women artists in this group. She uses popular media to raise questions bearing on her own identity as a Ukrainian within the current political state of affairs. Æsa Sigurjónsdóttir is an associate professor and a curator in Paris and Reykjavik. GETA BRÃTESCU (*1926 Bucharest, Rumania) studied at the Faculty of Letters, University of Bucharest and at the Academy of Fine Arts. Brătescu has worked as an arts editor, illustrator and animator, and also carried out documentation trips both in Romania and abroad for the Artist‘s Union. Her work includes drawing, collage, photography, performance, illustration and film. Throughout Brătescu‘s works the line is a dominant feature, functioning as a mode of definition, measurement and movement, from the classical draughtsmanship of Hands 1974–76 to the body performing in space in The Studio 1978. Creating lines through material has continued within Brătescu‘s practice to present day. KARIN FISSLTHALER (*1981 Oberndorf near Salzburg, AT) Graduated in experimental design at the Kunstuniversität Linz. She works in the fields of experimental film and Fine Art, and has been producing electronic music since 2003 under the name Cherry Sunkist. In her work she engages with issues concerning media portrayals of the human body, and its body language and the repercussions of the latter on the construction of identity. As material, found footage becomes the subject of fascination, criticism, multiple interpretations and complex approaches. Lives and works in Vienna and Linz. OLENA NEWKRYTA (*1990 Wosnesensk, Ukraine), lives and works in Vienna. She is studying applied art and photography since 2011 at the University of applied arts Vienna. In 2015 she did an exchange year at the Gerrit Rietveld Academie in Amsterdam. The artist finds the starting point of her work in observations of everyday life, in philosophy and in art history. She uses mainly found objects and found footage material in which she is interested because of their materiality and their political and social aspects. Through minimal interventions and displacements of contexts, the artists asks questions and creates new perspectives. LUDMILA RUSAVA (*1954 – 2010 Minsk, Belarus) studied at the Minsk Art school (1969 – 1973), Belarusian State Institue of Theatre and Art at the department of monumental and decorative arts (1974 – 1979). Rusava has participated in exhibitions since 1979 (altogother more than 100 exhibitions and conceptual projects). She worked with geometric abstraction forms (painting, drawing, textiles – tapestries in the original author´s technique), was the author of several conceptual projects, wrote metaphsical poetry. Rusava is the author of the first performance in Belarus. RÓSKA (Ragnhildur Óskarsdóttir) (*1940 – 1996 Iceland) studied at the Icelandic College of Arts and Crafts as well as in Prague and Paris before enrolling in L´Academia di Belle Arti in Rome. She belonged to the generation of radical European artists who wished to expunge the boundaries between life and art, fighting against the artistic snobbery of the bourgeoisie, the political complacency of the masses, and the propaganda machinery of professional politicans. Róska was a painter, a photographer, a film director, an insurrectionist. She lived in Rome for the majority of her life. Was bewegt Künstlerinnen und Künstler dazu, sich wieder verstärkt Vorbildern zu zuwenden und wie offenbaren sich die damit einhergehenden Hommagen, Referenzen, Zitate und Aneignungen im jeweiligen Werk? Welche Kontinuitäten in Bezug auf das Schaffen einer Leitfigur, aber auch welche Brüche damit werden sichtbar? 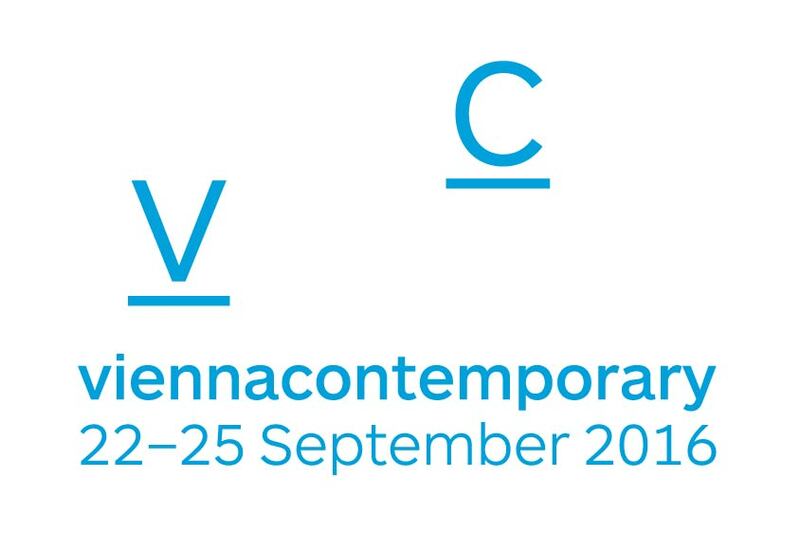 Anlässlich von curated by_vienna 2016 organisiert die Wirtschaftsagentur Wien mit ihrem Kreativzentrum departure ein halbtägiges Symposium in der Wiener Secession, bei dem das diesjährige Thema aus künstlerischer, theoretischer und kuratorischer Perspektive diskutiert wird.